Japan´s defence budget will swell to a record $47 billion for the next fiscal year, the government said Friday, as Tokyo beefs up its missile defence and deploys stealth jets in a bid to counter China. The defence spending was part of a $912-billion national budget for the fiscal year starting in April 2019, approved by Prime Minister Shinzo Abe´s cabinet. The government decided to set aside 5.26 trillion yen ($47 billion) for defence, the fifth record year in a row, defence ministry officials said. The defence funding will cover the cost of introducing the US military´s Aegis Ashore land-based missile interceptor system, the officials said. 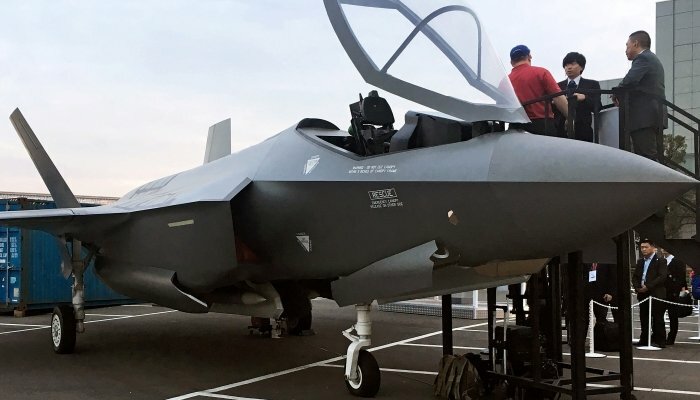 The FY 2019 allocation covers six F-35A stealth jets, and part of it will be spent on Japan´s first aircraft carriers since World War II. The budget is the initial allocation of Japan´s new five-year defence plan, announced on Tuesday as the latest in a series of steps under Abe to boost the nation´s military. Under the multi-year programme through March 2024, Japan will upgrade two existing helicopter carriers so that they can launch fighters. Abe´s government argues the efforts are necessary given growing defence challenges in the region, including tensions with North Korea, and particularly “strong concerns” about the expansion of China´s military footprint. But the move is controversial, with critics arguing it shifts Tokyo further away from its commitment to strictly defensive capabilities under Japan´s post-WWII pacifist constitution. Beijing immediately expressed its “strong dissatisfaction and opposition” to the programme unveiled on Tuesday, urging Tokyo “to adhere to a purely defensive policy”. Last year, China unveiled its first domestically built aircraft carrier as it continues to assert claims in the South China Sea. Beijing´s first carrier, the Liaoning, is a second-hand Soviet ship built nearly 30 years ago and commissioned in 2012. Japan´s new programme comes after pledges to buy more US military equipment, under pressure from President Donald Trump. The US leader has repeatedly complained about Washington´s huge trade deficit with Tokyo and also urged Abe to expand the country´s defensive capacity. For his part, Abe has campaigned for years to amend Japan´s pacifist constitution, arguing that it ties the hands of the country´s Self-Defense Forces (SDF) even in protecting the country´s allies from attack. “Japan´s growing defence budget is directly aimed to counter China´s military threat,” said Akira Kato, professor of international politics and regional security at Tokyo´s JF Oberlin University. “The budget gain is also part of Japan´s efforts to buy more US military equipment so that it can avoid a trade war with Washington,” Kato told AFP, adding that Tokyo´s defence budget is expected to continue expanding.